Microsoft revealed in a blog post what the different versions of Windows 8 will be when the OS officially launches. The news from Microsoft clears some things up, but it also raises some additional questions and may still leave some wondering which version of Windows 8 is the “right” one. One thing is clear, the next version of Windows will be called Windows 8. That is unless it’s running on ARM hardware, in which case it’s Windows RT. Microsoft narrowed the options, but you still have to figure out which Windows 8 option has what you need. But, the Microsoft blog post does clarify that there will be three versions of Windows 8…or is it four? Brandon LeBlanc defines three versions: Windows 8, Windows 8 Pro, and Windows RT. But, the end of the blog post tosses in a mystery fourth version for customers on Software Assurance licensing agreements—Windows 8 Enterprise. 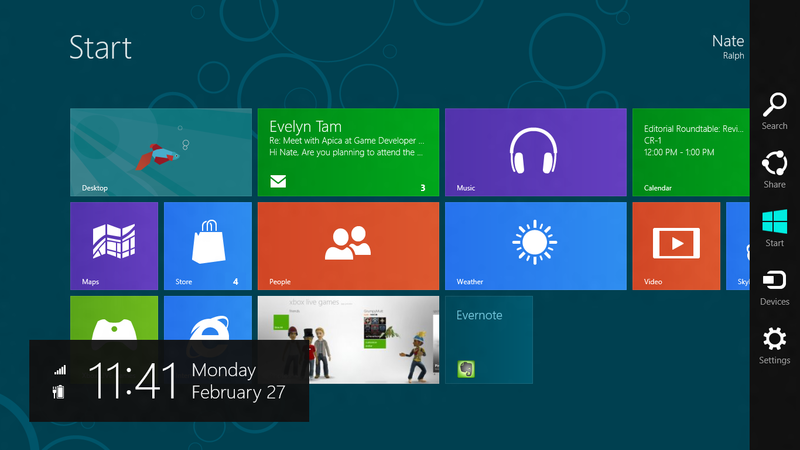 Microsoft has made things simpler for Windows 8. With Windows 7, customers had to wade through the features and capabilities of seven different versions to choose the Windows 7 to meet their needs. With Windows 8, Microsoft has essentially narrowed the options down to consumer and business. There’s Windows 8 for consumers, and Windows 8 Pro for business use. Period. Yes, there are also Windows RT and Windows 8 Enterprise, but those are special cases for niche scenarios. Windows RT can’t actually be purchased--it will simply come pre-installed on ARM-based tablets or PCs. It can’t join a Microsoft network domain, or run traditional Windows software. It seems like Windows RT is about as close to Windows 8 as Windows Phone or the Xbox 360, so it barely even counts in this decision process. I tried to get some clarification on the specific differences between Windows 8 Pro and Windows 8 Enterprise, but a Microsoft spokesperson informed me that there are no additional details available at this time. Depending on the features included with Windows 8 Enterprise, it might make a compelling case for some businesses to switch to Software Assurance licensing to be able to take advantage of them. Given the two options on the table, though, the decision is easy. Get Windows 8 Pro. I always maintained with Windows 7 that Microsoft should cut through all the crap and just sell Windows 7 Ultimate. My feelings haven’t changed with the Windows 8 versions.